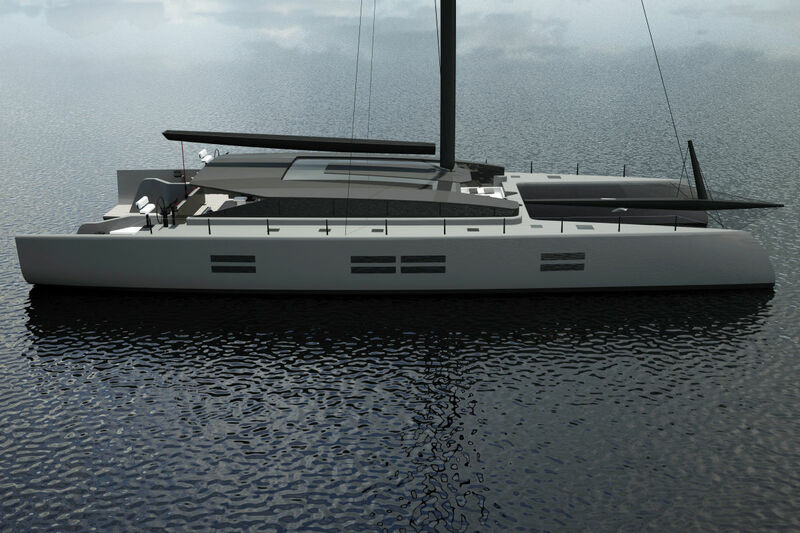 The McConaghy 90 is a Dream Catamaran and thanks to the highly efficient production facilities can be built in less than 18 months. 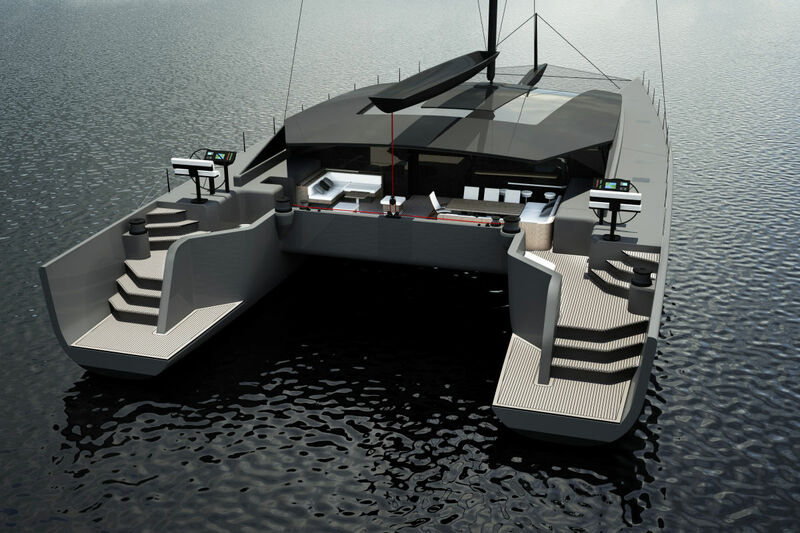 Thanks to her specially controlled vacuum infusion process of pressed panels of E-glass/Epoxy, carbon-hybrid composite foam construction the McConaghy 90 multihull is much lighter than similar length catamarans, yet she is luxurious, safe and immensely stiff. Speeds in excess of 20 knots can be expected – of course in perfect safety and luxury. Similar to the last generation of America’s Cup foiling catamarans, which are so strong that they do not need a fwd. crossbeam, the McConaghy 90’s stiffness and full carbon longeron also allow for this elimination of the forward crossbeam, which further lightens this amazing yacht. the McConaghy 90 multihull, like high performance racing yachts, is helmed via twin pedestal steering stations positioned well aft. The elimination of the flybridge further reduces aerodynamic efficiency and weight – and at the same time lowers the stunning profile of this Grand Prix yacht. 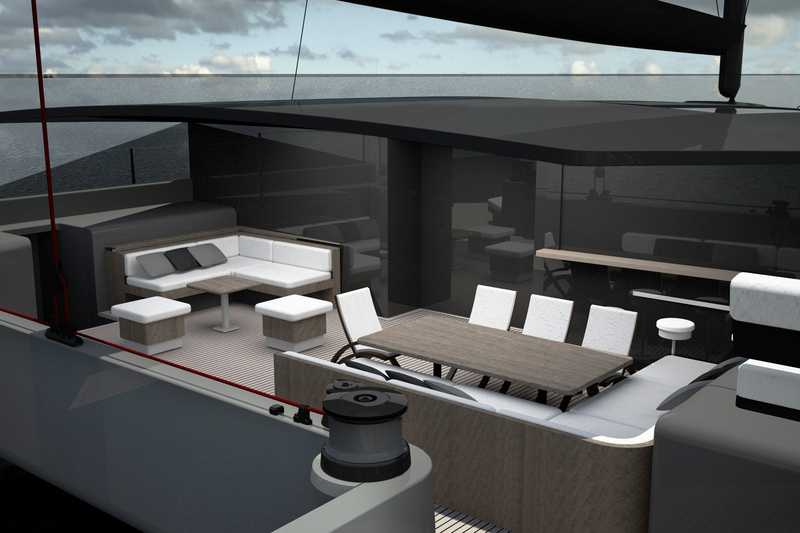 Expansive glass panels in the hulls and saloon which slide open to create an inside/outside living space as well as a spacious forward cockpit are some of the key lifestyle defining features of the MC90. 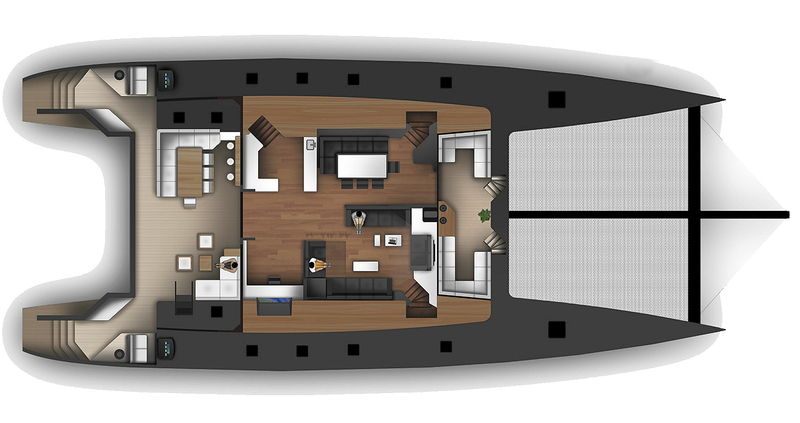 Of course, the interior of the MC90 multihull is top class and only the finest woods and hardware are used throughout. All joinery is custom built and finished to McConaghy Boats uncompromising high-quality standards under the expert guidance of the interior design team of Design Unlimited. The modern interior is constructed using a mix of hand-painted surfaces and lightweight, exotic wood laminates with soft fabric accents. There are a variety of layouts to choose from. 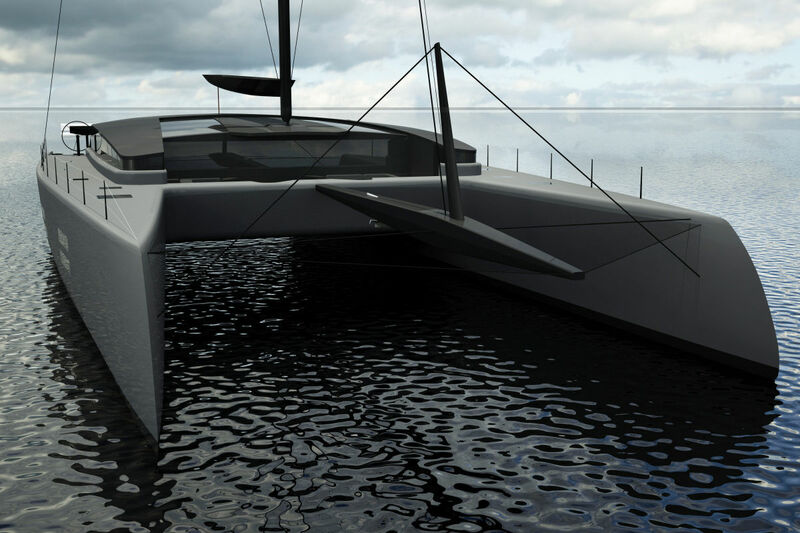 The McConaghy 90 multihull was born from the drawing board of illustrious naval architect Jason Ker whose name is associated with high performance racing yachts and the BAR Racing – British America’s Cup catamaran. 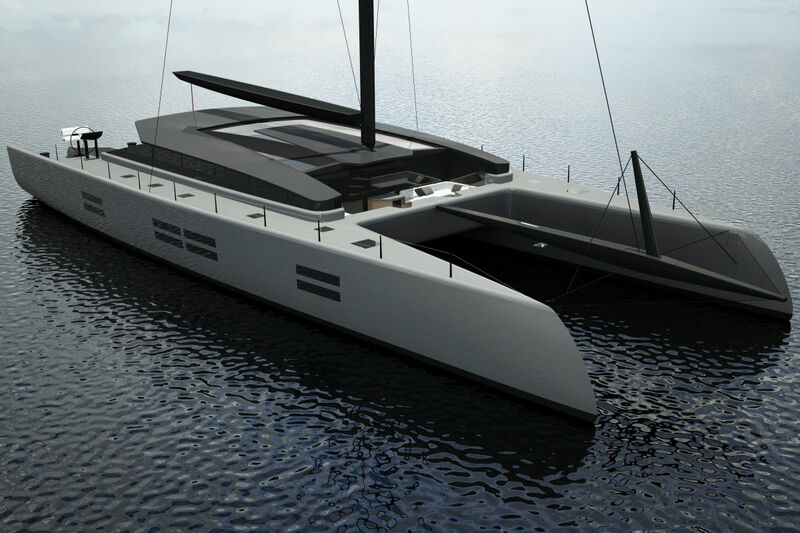 Jason Ker in collaboration with McConaghy released a line of high performance sailing catamarans (50,60,77) of which the McConaghy 90 multihull represents the queen of the fleet. 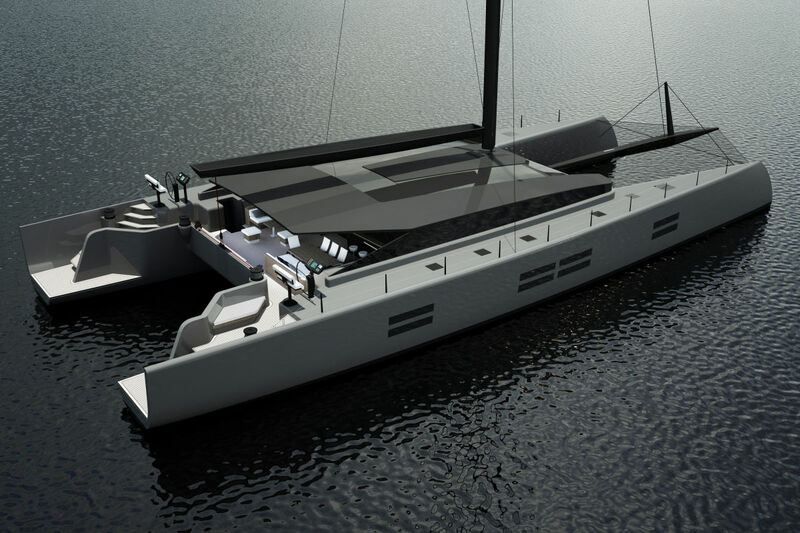 McConaghy is not new to building the world’s most successful supermaxi racing yachts as well as exceptional superyachts such as John Shuttleworth designed “ADASTRA” – a 140’ highly efficient and luxurious trimaran, which won both highly coveted 2013 Superyacht and Show Boat Design Awards. The high-tech manufacturing facilities developed by the team at McConaghy in Hong Kong along with their unrivalled composite knowledge and expertise is world renowned. For discerning clients who seek an exceptional piece of maritime engineering, the McConaghy 90 catamaran should be on top of their list. Beautifully proportioned she embodies a timeless elegance with just a hint of fighter jet aggression. The interior is built on a semi-custom basis and the client’s input along with the interior design team will produce a bespoke and luxurious accommodations to suit every owner’s desire.